Teddy the blanket, Winnie the Pooh, “Go Go” Power Rangers, all things Disney, Ninja Turtles and Doug just to name a few. His favorite character of all was Teddy the blanket. 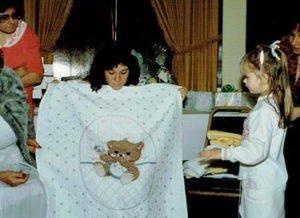 Michael’s maternal grandmother who died when Michael was 3 years old made the Teddy blanket for his baby shower. They shared so much in 3 short years living next door to us. He would go out in the morning and bang on her door “Mom-Mom let me in.” They ate black olives together and he would read The Fire Engine Book to her. Making all the sounds, “ssssss goes the hoses”. He carried Teddy everywhere with him and needed it to sleep at night. 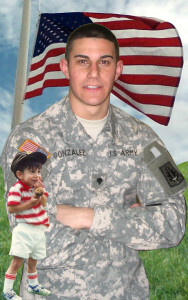 On Monday nights his dad and him would watch MacGyver together and play Toro. Michael pretending to be a bull and his dad the bull fighter with the Teddy. One memory when his mother and her friend went shopping to a large mall in Pennsylvania. Some how the Teddy got lost in one of the stores. In a panic they backtracked to all the stores. Fortunately it was found on top of a clothes rack. He finally stopped carrying and sleeping with the Teddy around 11 years old and put it away in a box in his closet by then it was not even worthy to be a rag. Just as the Teddy comforted Michael all those years it comforted me during his funeral. After the funeral I gave the blanket to Reverend Ribbans to be cremated with Michael. My original dreams for Teddy the blanket was to find one identical and recreated it for my first grandchild's baby shower with the old Teddy tucked inside the gift. Teddy most certainly was a good comforter for all. 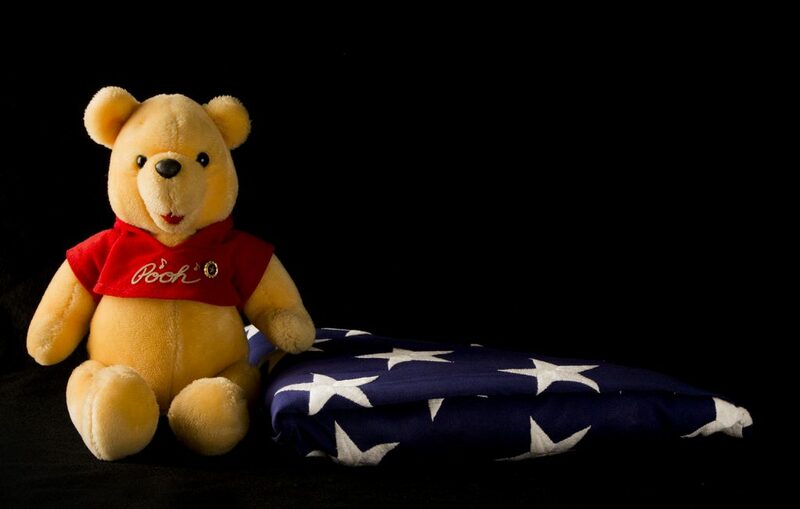 This American flag was draped over Michael's casket during the viewing and funeral service. At the end of the services in Arlington it was handed to his family. 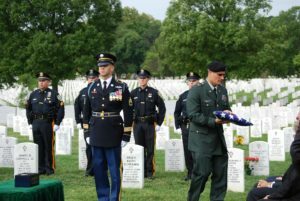 It represents the final honor for his dedication to the United States of America and the United States Army. This was the final good bye to Michael.